Liz Harfull is passionate about telling the stories and unearthing the histories of Australia’s quiet voices – the extraordinary, everyday people who make up our communities, especially in rural and regional Australia. 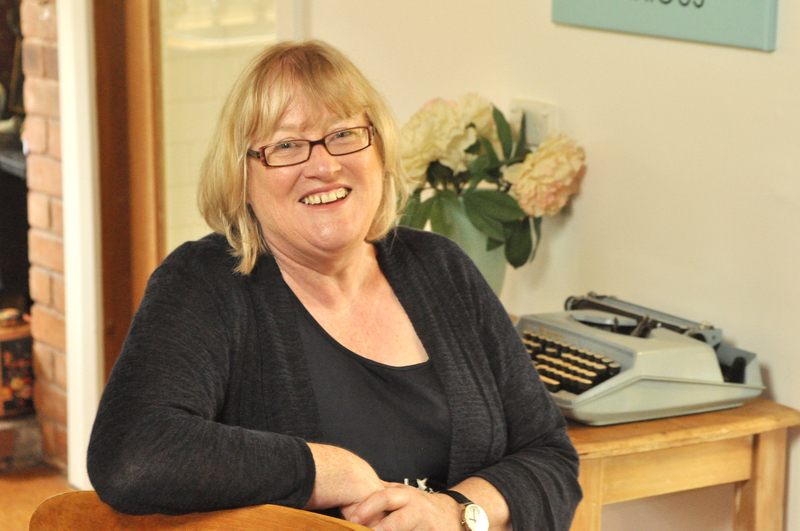 Liz has written three award-winning and best-selling books about Australian home-cooking traditions, a series of books capturing the life stories of rural women, as well as popular local history books featuring her favourite seaside town of Robe, on South Australia’s Limestone Coast. Her first book, The Blue Ribbon Cookbook (Wakefield Press 2008), focussed on the traditions of country shows and show cooking in South Australia. Still in demand after more than 10 years, the surprise hit even took the author to Paris when it won a Gourmand World Cookbook Award. A much anticipated follow-up with fresh stories and recipes from around the country, The Australian Blue Ribbon Cookbook (Allen & Unwin 2012), became a national best-seller. And her latest collection of stories and recipes, Tried Tested and True (Allen & Unwin 2018), has been shortlisted for two international awards, due to be announced in July 2019. Her books featuring rural women include the national best-seller Women of the Land (Allen & Unwin 2012), about the extraordinary everyday lives of eight women from around Australia who run their own farms; and City Girl Country Girl (Allen & Unwin 2016). Inspired by her mother’s story, it made Amazon’s ‘Hot List’ for Australian biographies (audiobook version). Her local histories include Almost an Island: the Story of Robe (Wakefield Press 2013); Guichen Bay and the Chinese Landings (District Council of Robe 2017); and Finding Steve’s Place (self-published, 2018). As a journalist, Liz has been writing for regional newspapers, specialist rural newspapers and magazines, and even the odd metropolitan daily, for more than 30 years. She has also worked as a rural communications specialist, receiving a prestigious Churchill Fellowship to explore ways to encourage farmers to take up best practice and the latest technologies. Liz is a popular guest speaker, regularly hitting the road to present at libraries and author events across Australia, as well as opening the odd country show or two!